make it perfect: .November Cool Shops! ISZLE. 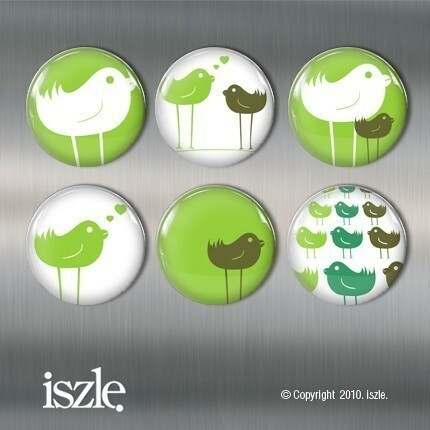 Iszle is based in Melbourne and has a very successful Etsy store selling gorgeous handmade mirrors, magnets, keyrings and more. For my review, Nadine sent me a Pink "Motto For Life" mirror. It is the coolest thing ever! 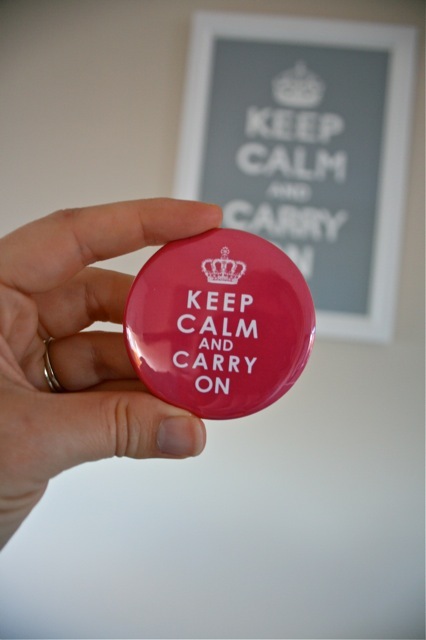 I love the "Keep Calm and Carry On" motto and am really loving it on my new pink mirror. I agree with what Iszle has to say about their mirrors..."every woman should have at least 1"!! So true! These pocket mirrors are the perfect size to pop in your bag or pocket and have handy to touch up your make up, make sure there isn't food in your teeth or fix your hair wherever you are. 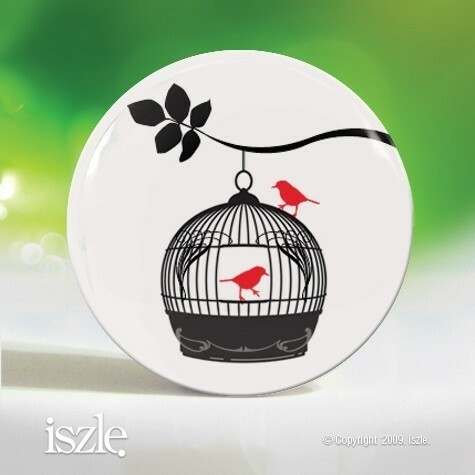 Iszle's products are very affordable, great for party favours, thankyou gifts and stocking stuffers. 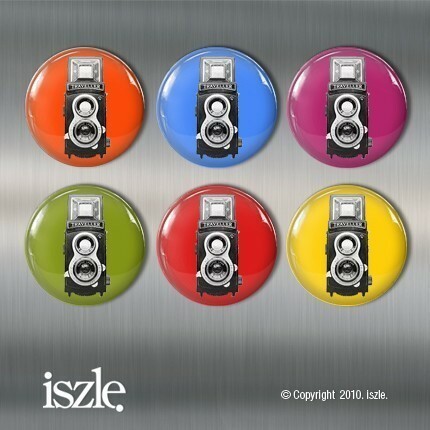 Iszle images are bright, crisp and stylish - and there are HEAPS to choose from! They also do custom orders if there is something in particular you are looking for. 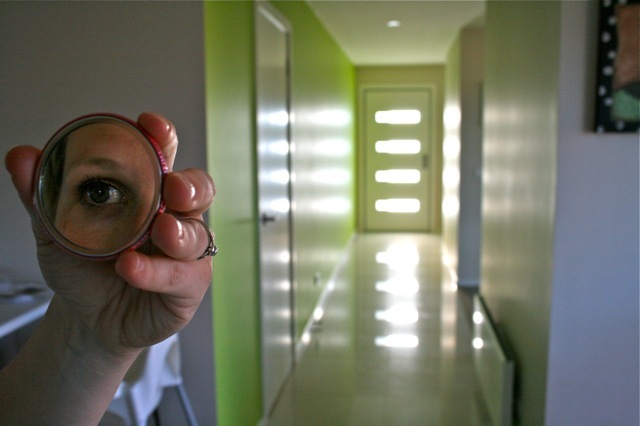 I am so impressed with the flawless workmanship of my mirror - it definitely fits the handcrafted category, not handmade! I think I'm going to stock up on a few Iszle products in the coming weeks and pop them in the present box in case I need to come up with an unexpected last minute Christmas gift for someone! As part of her Cool Shops! review, Nadine is giving away a Pocket Mirror + Matching Keyring - winner gets to choose the design!! 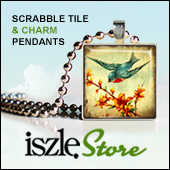 To enter, leave a comment with your favourite Iszle product. Giveaway will close on Wednesday 10th November and winner will be drawn randomly. 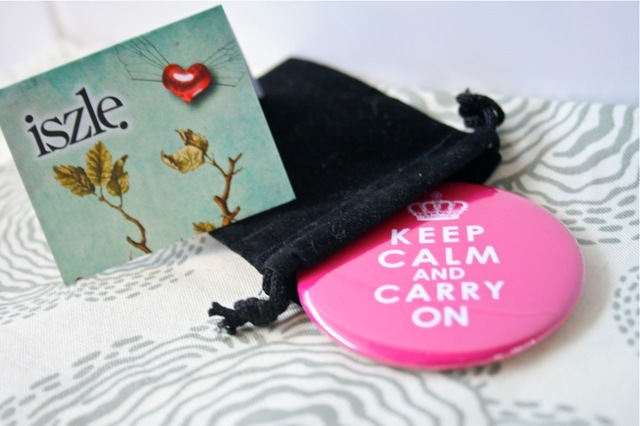 I also love the Motto for Life pocket mirror! So cute! Definitely love the POCKET MIRROR - Artist Bloom Series 6 (ART024. Cool shop! My favorite is the 6 Magnet Gift Set with Words. But, it was really hard to choose - they are all so pretty and unique! I love the green bird magnets, very cute! I'm having trouble choosing between the bird sanctuary pocket mirror and the vintage rose yellow pocket mirror! They're both great. vintage camera magnets for sure!!!!! love the vintage camera design, would make a great gift for my boss, who is a photographer! I've been bookmarking a few of these creations this week trying to decide which ones to buy. My favourite though is Charm Pendant + Curb Link Chain - Florals (FP014) . Pocket Mirror is so cool. They are all so much fun. I love the magnet sets - 6 Magnet Gift Set - Little Ninja - very cute! i really like the vintage camera! so classy! thanks! Oooh! Those Bird Family Unites magnets are loooovley! I'd love to win those. I like the Magnet Gift Set - CUTE OWLS! You know, I actually was thinking the other day that it was annoying not to have a little pocket mirror in my bag... Timely! My favorite is the hedgehog mirror. I love the freedom flight mirror but the baby elephant is cute too! How do you choose one?! I love the green birds!! I LOVE the Iszle shop! I have purchase from her before, i purchased about 25 scrabble tile pendants from her, fantastic quality and super fast postage! I absolutely love the Sunset Owl pocket mirror - super cute! There were so many I liked, it was really hard pick one!